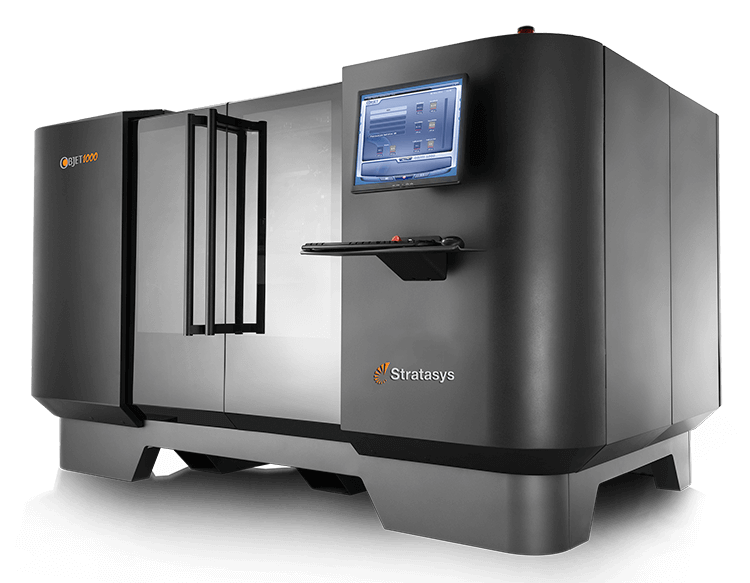 PolyJet 3D printers, such as the Stratasys Objet 3D printers, are capable of highly complex and high resolution parts with fine features, but lack the strength of SLS and FDM parts. Combining two or three materials in specific concentrations and microstructures, this technology allows to produce a range of materials with varying translucency, rigidity, thermal resistance or color. Using this process, a single part can contain materials with diverse physical and mechanical properties ranging from rubber-like flexibility to ABS-like rigidity. Similar to SLA, the photopolymer is vulnerable to sunlight and heat, and the material can creep over time. Poly-jet printing is a great process for developing fully assembled prototypes and complex and detailed geometries with multiple material properties. 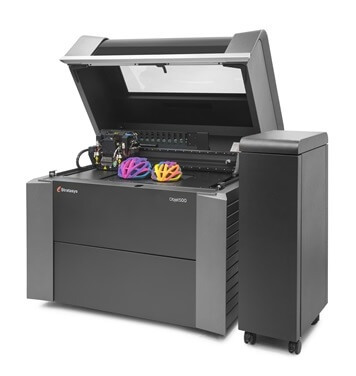 One of 10 PolyJet 3D printers in the Design Series. 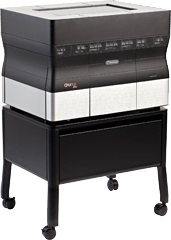 One of 10 PolyJet 3D printers in the Professional line.